Welcome to the newest addition to the IsaLean™ Shake permanent range! IsaLean Shake Chocolate Mint took ANZ by storm when it was first released as a limited, seasonal flavour back in May 2016. Since then, requests poured in to make the fan favourite a permanent flavour and it’s no surprise why. They say change is as good as a holiday, so if you’re feeling in a bit of a slump with your weight-wellness goals or need some fresh motivation, Chocolate Mint is the perfect solution. Whether you’re looking for a new flavour in your life or you’re hoping to give new prospects an insight into the variety of our no-compromise products, then Chocolate Mint is the reason you should be visiting your Back Office. 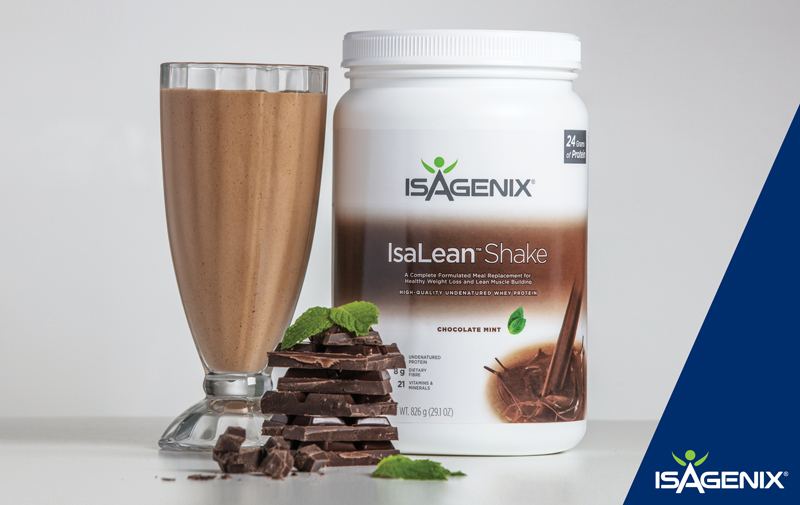 With the same nutritional value as all our other awesome IsaLean Shakes, this healthy and delicious meal replacement couldn’t be any more perfect. Haven’t yet tried it? What are you waiting for?! Head to your Back Office and add this crowd pleaser to your Autoship or as a Wholesale order.